Whether it’s a wedding, business meeting or simply a comfortable and efficient airport transfer, luxury limousine hire is often far more affordable than you’d imagine. 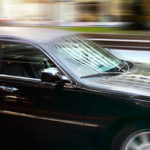 The specialist providers of luxury limo hire services will go out of their way to provide you with an exemplary service but there are a few things you can do yourself to help avoid potential problems. Here are a few tips from the top providers of such services. 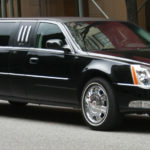 Luxury limousines aren’t as numerous or readily available, at a phone call’s notice, as say a taxi. 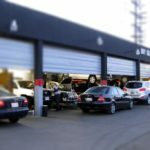 Yes, you might get lucky and find one immediately available but booking ahead is more likely to deliver you the exact car you need when you want it. Many luxury limo hire companies will be happy to accommodate pets providing that certain conditions are met and they have been notified in advance. So, avoid simply talking your pooch along as a casual last-minute whim and then expecting your chauffeur to smile and welcome it aboard! 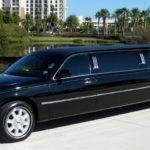 Once again, providing younger guests are accompanied by an adult, they should be no issue for the limousine company – providing they’ve been told in advance. That’s because the law demands certain child seats are used depending upon age and size. If the chauffeur didn’t know children were included then they probably won’t arrive with a suitable legally-compliant child seat and that could spell the end of your planned journey before it even begins. This sort of vehicle hire is ideal for nights out and is very cost-effective. It also means people can imbibe without worrying about driving but don’t go too far. If a potential client is intoxicated to the extent that they’re offensive or a danger to themselves, the vehicle and other passengers, then the chauffeur may be perfectly entitled to refuse admittance. In spite of what you might have seen in the movies, asking the chauffeur to “punch it” because you haven’t allowed sufficient time in your schedule, just won’t achieve anything. Instead, discuss your travel deadlines in advance and take the limo company’s advice on latest departure times. You might find some deals that are based on hourly rates. That’s fine and potentially a low-cost route but do not cut things down to the bone in your estimations of time required. People can be late, traffic can be an issue and so on – so, build in a little hire contingency when booking the vehicle on an hourly basis. Luxury vehicles come in all different shapes and sizes. Selecting that two-door sporty coupé with three seats might give you a bit of a kick but it also might make it difficult for you and a colleague(s) to work comfortably with laptops etc. on the road. Above all, discuss the full range of your plans with the vehicle provider.